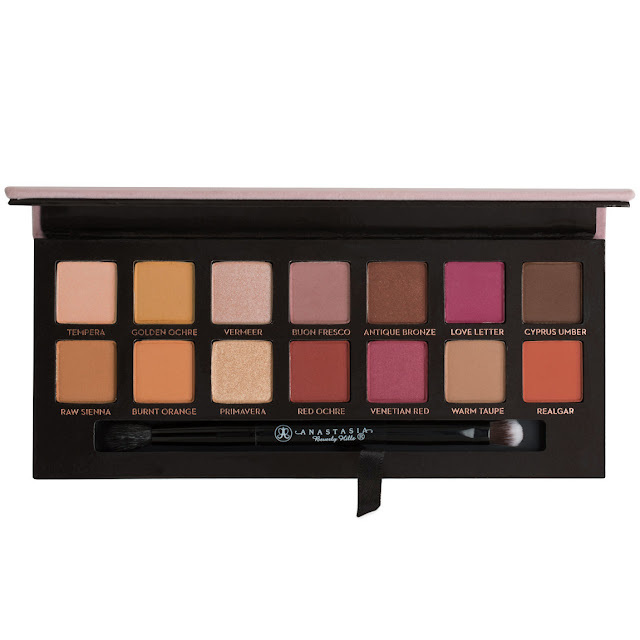 This palette is one of my wishlist dah lama gila ever since I knew it's a dupe for ABH Modern Renaissance palette. I 've been waiting for them to arrive in Malaysia, and setiap hari pergi check Sasa. And terus beli tanpa berfikir panjang! (Malas nak preorder dekat igshop). So here is my thoughts on em! 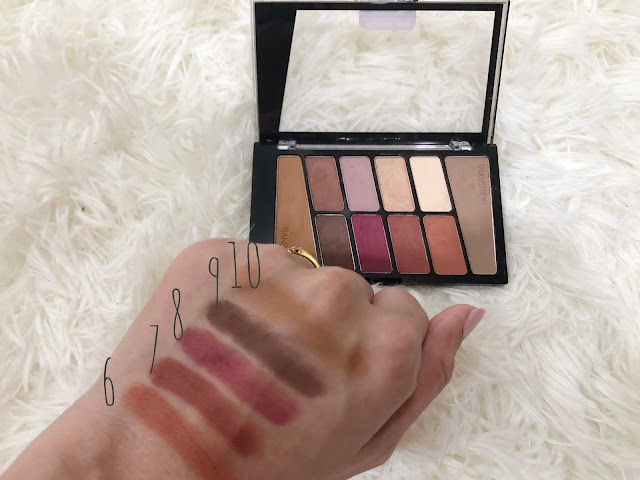 This is the Anastasia Beverly Hills Modern Renaissance palette, which is around RM250++, ada certain igshop yang harga dia lagi mahal daripada ni. 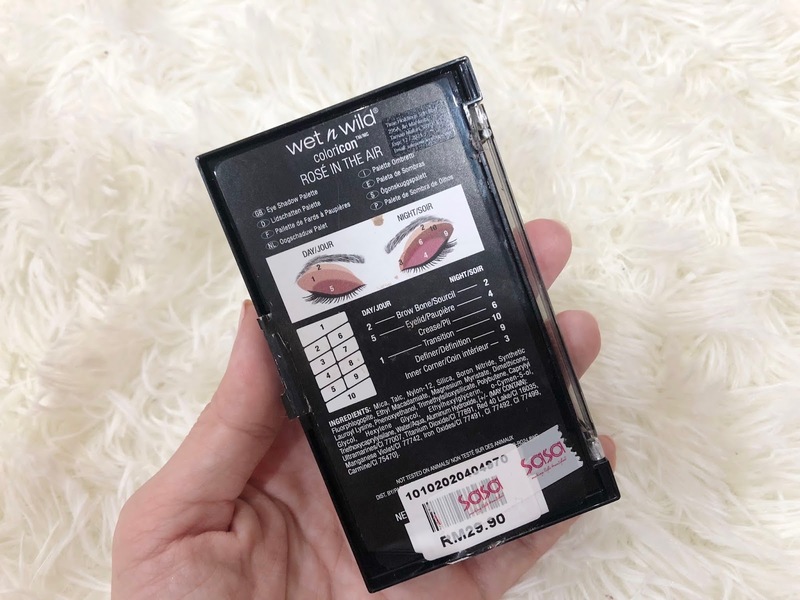 So for cheaper option, you can try Wet N Wild Rose In The Air. 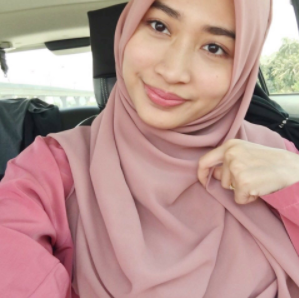 Kalau nak tengok comparison, just google je. I takde the actual palette so I can't make the comparison. Beli yang dupe (product yang almost the same, but cheaper option) takpe, jangan beli yang fake or inspired pulak, katanya copy ori lah gred AAA tapi tak tahu dia buat dekat mana, kilang dekat mana, bahaya! Say no to fake makeups ok. So anyways, I bought this for RM29.90 at SASA and rasanya kalau time nak raya ni ada sale. Try check balik. I think it is only available at SASA. The price is veryyy affordable! There are 10 shades in this palette. 8 mattes and 2 shimmers (satin/sheen finish). It's a mix of warm-berry tones. I like the orange and mauve shades! The packaging is quite okay. It's small, like the size of your palm and easy for travel (Tapi risau jugak kalau pecah ni). The plastic packaging is quite sturdy and the black colour looks elegant. The lid is just a clear lid, with no mirror and no brush. Here are the swatches. I swatch atas tangan without any primer, so maybe warna dia tak berapa terang and guna jari, bukan brush. So might be differ sikit kalau apply it on your eye lids. The swatches are pretty, especially number 6, 7 and 9. The pigmentation is quite okay. Nothing too vibrant yang nampak wow gitu. Yang lighter shades tu nampak less pigmented. The transition colours (#1 and #10) are quite okay, blendable and buildable, colour pay off are good, a bit dusty but okay for me. Yang lain are mattes, and for me, they are quite good. Blends nicely, not powdery, smooth, easy to work with. I like all the shades tapi tu lah, some shades are hard to work with. 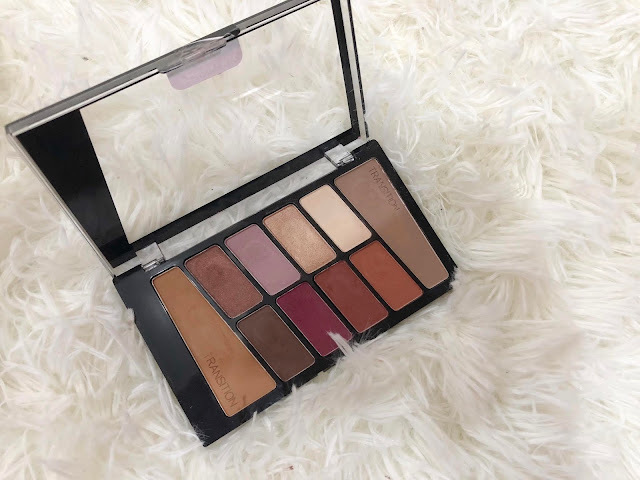 This is a really budget friendly palette and the shades are nice! The shades tak ada yang berulang or nampak lebih kurang sama. 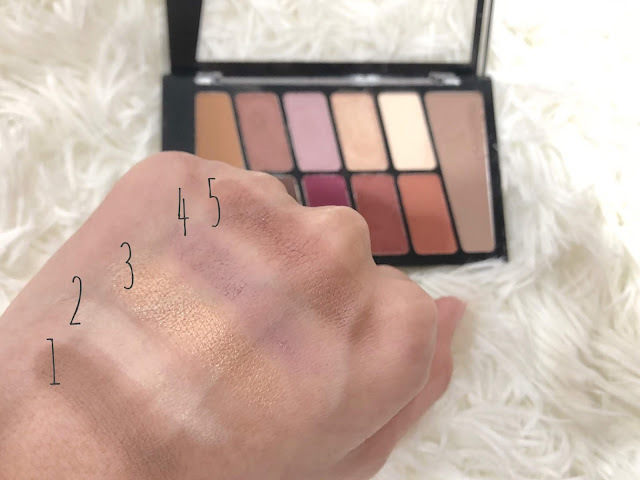 I tak suka palette yang banyak shades tapi nampak lebih kurang je, macam membazir sebab rasa sama. Yang ni, every shades takde yang almost the same, and perfect blend of transition colours, shimmers and mattes. You can do different kind of looks, nak orange-ish look, mauve-berry look or natural brown-earthy look. Great for everyday use too. Of course. 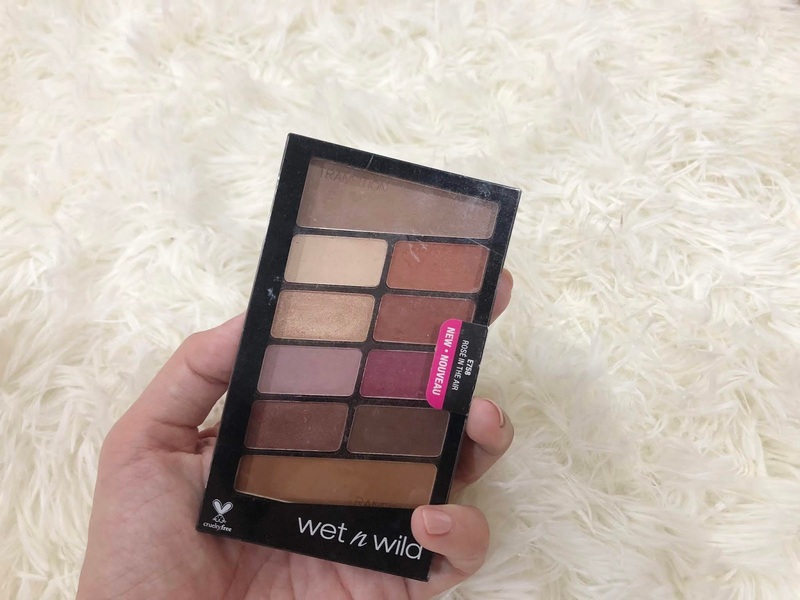 This is a really good eyeshadow palette to have, especially for beginners.